If you have a table hierarchy, and there is a mandatory field in the child table, your data may become inconsistent in some cases. A warning is shown, which is correct. Now let's close the form. Normally, you would expect a dialog "Changes have been made in the form. Save changes? Yes/No". 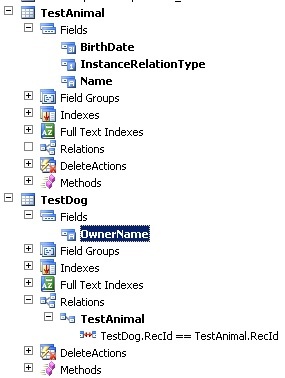 But in our case, the records are saved in both tables, with a blank mandatory field in TestDog.